Household furniture shifting in India is a way complicated tedious task either you can do it your own or you find a right mover to help you. #Packing and shifting the whole #household stuffs along with all glass wears is a different thing to tackle. But finding a mover to help you and guide you in wrapping of glass wear stuffs is way more different because rarely a mover takes your request into consideration when the chat is all about helping to #pack mirror or glass wears. Most of the people do not put extra efforts in #packing glass wears or mirrors of household products while shifting, and thereby they meet with an accident and after that they realize their mistakes. Precaution is better than cure, a single piece of mirror can’t be so expensive that you can’t buy again, but breaking of mirror into several small or big pieces can be a dangerous work because you all know that a small mirror piece is too dangerous for your body when it enters into it. Keeping your hands away from them and trying to care about every small thing, #packaging of mirror can’t be difficult that you can’t do it by your own. Safe and Secure Packers and Movers Bangalore would like to share you some of the essential tips to wrap the mirror of your household products. STEP 1: start with a good box, remember that you have view from all the sides; there should not be a single hole, crack or damaged. The choice of box should be brilliant and high quality, tough cardboard box which can easily handle the weight of the mirror and its sides do not got snatched with mirror’s edges. STEP 2: wrap the mirror in bubble wrap just a layer of bubble wrap and finally taped it so that the article do not fall down from encircled bubble wrap. STEP 3: well the current stage of the box is open from all side, #pack or cover the one edge of the box with the tape like PVC tape so that the mirror do not fall down. Remember to keep the broad side @ bottom and cover them with tapes. STEP 4: as if a ready-made box will never find in the markets, you will get a rough layout. By placing tape on right side your box is ready for use. After flipping it you will see a hole “a covered hole” where you can put your stuffs and upper covering sleeves to cover the box from upper side. Now put the bubble wrapped mirror inside. STEP 5: after putting the mirror inside the box if you can see the free space yet now cover the free space around the mirror by thermacols or paper rolls in bulk. This will protect the mirror from huge damages. STEP 6: after putting and covering the free space you know what to do simply cover the box from the top also and tap it carefully. STEP 7: after the finishing and completing of the box now for more safety of it write with a permanent marker on to the box GLASS and DO NOT LAY FLAT. Instructions for the #movers or handlers that this box contains glass wear and should be tackling safe. Well if you pack your goods by your own but moving with a mover than in that condition #mover do not take any responsibility of the damage of the boxes packed by you from inside. 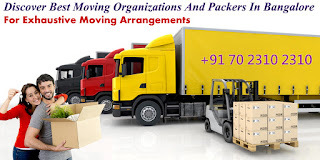 No doubt Packers and Movers in Bangalore will help you to move easy and hassle free, also give you a complete shifting experience form loading to unloading and rearranging in new house. Every task will be handling by us but the good like mirrors or other glass wears if any damage comes to them from inside then #Packers and #Movers in #Bangalore do not take this responsibility because such boxes are considered in PBO category which is packed by owner. Your boxes will carefully be handling and served at your new door but you know no responsibility from inside. So if you don’t want to take risk either hires safe and secure Packers and Movers Bangalore for safe packing and shifting experience or either take insurance on such mirror products. The choice is yours hire the #best and #top #movers in #Bangalore with us.